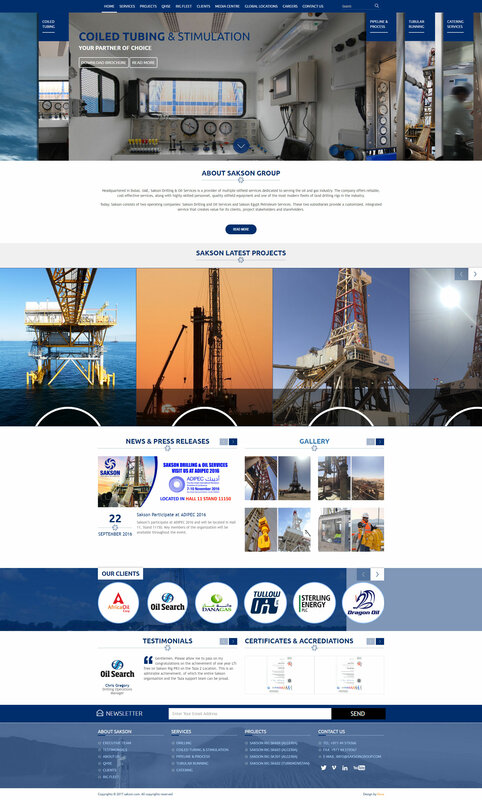 Sakson Drilling & Oil Services is a provider of multiple oilfield services dedicated to serving the oil and gas industry. The key objective of the website is to showcase the multitude services. Being a fairly niche organisation it is key that the user demographic can access the site quickly and find the information they require easily. Furthermore, the site ensures that user information is captured when users download documents across the site, which Sakson can use for lead generation purposes.